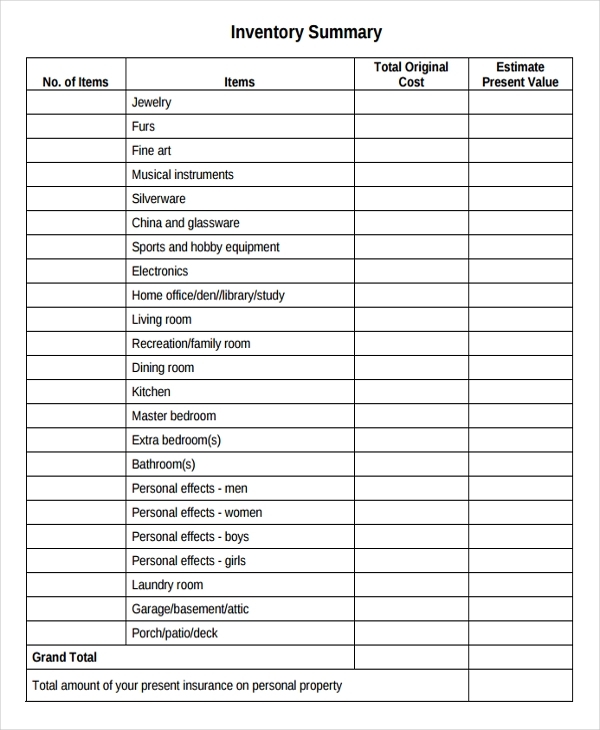 An inventory is created to assure that an entity is aware of its properties may it be for the purpose of stocking, managing, recording and/or purchasing. 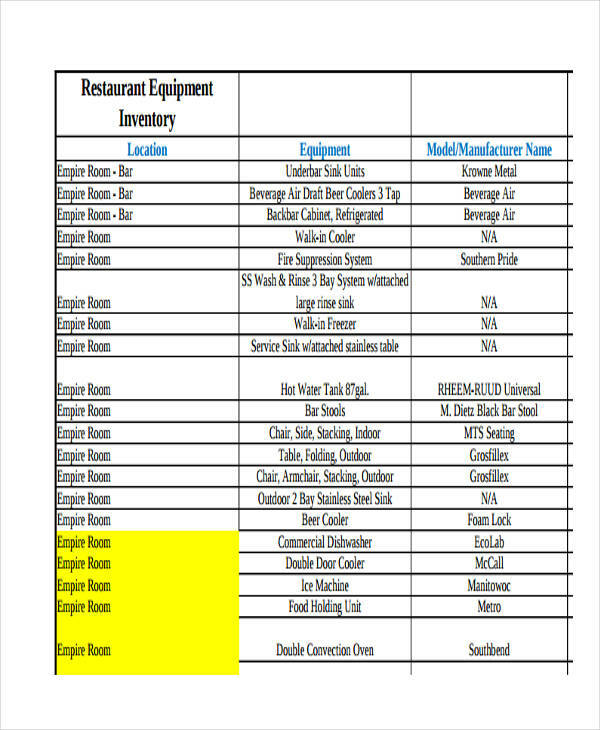 An inventory examples can be used in a variety of environments. There are inventories that are created for the benefit of non-profit organizations, businesses, and even individuals. Inventory financing, on the other hand, can be used by businesses as a short term loan to buy needed materials. 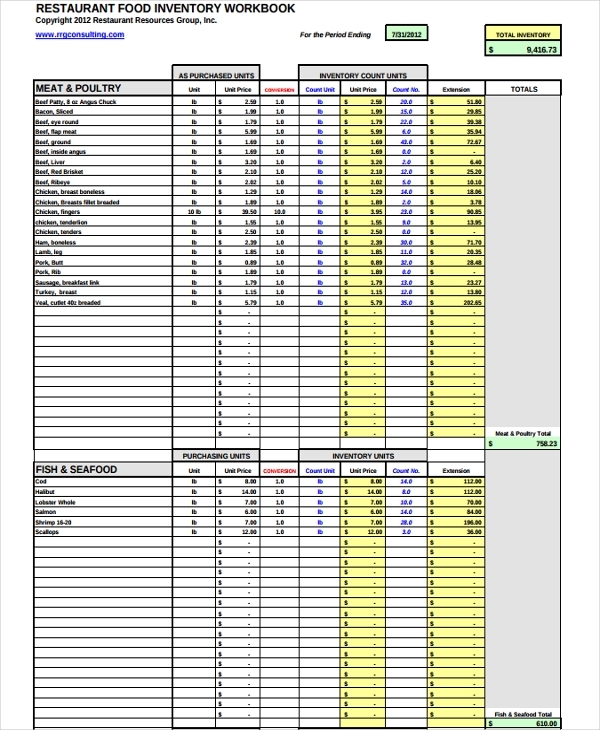 This post contains sample inventories that are used in different processes by various entities. 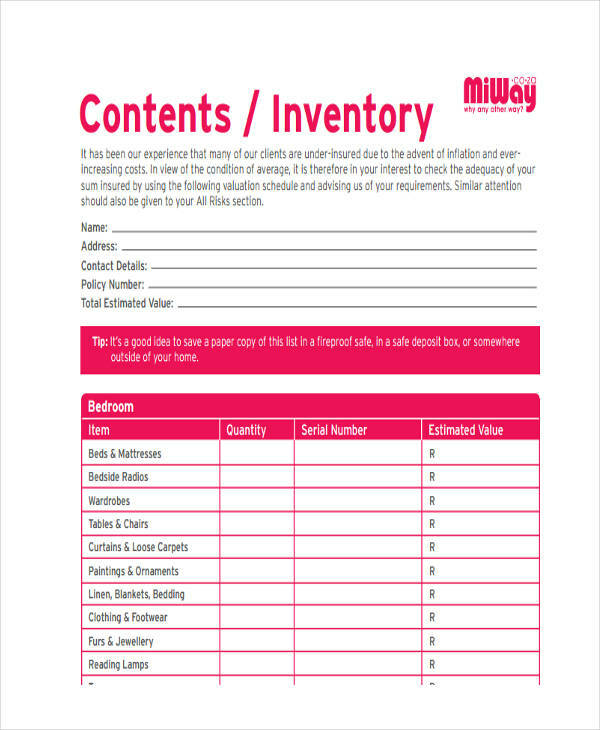 Browse through, select and download the inventory template which is relevant to the inventory that you need for a particular process. 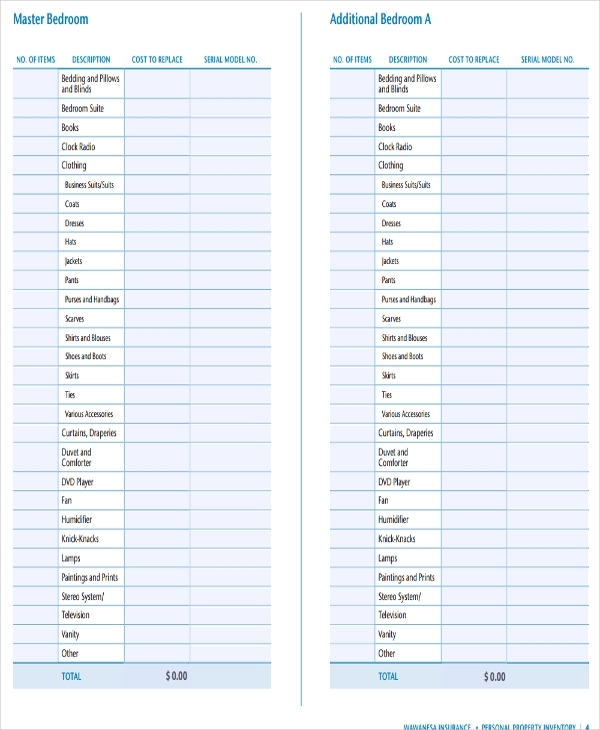 An inventory is a complete list of items that are owned by a particular entity. Inventories are the documents that provide the details and description of properties and other goods in stock which are necessary for the continuous flow of the operations of a business. An inventory can be a listing of the physical materials that are present within a location or a vicinity. 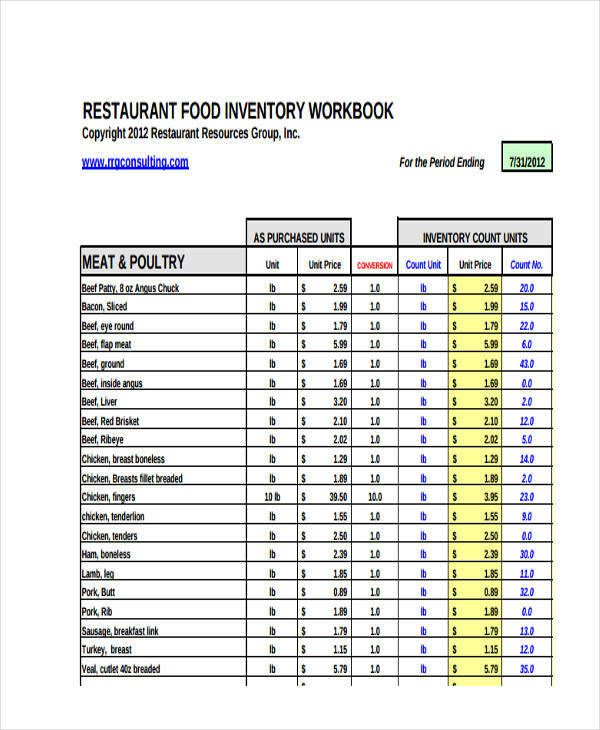 Inventory examples in PDF or in any other software provide the accurate listing of the items needed by an establishment. This assures the establishment that they have enough items which they need to provide the needs of their customers. Inventories also work in a way that it controls the stocks of the business. It dictates whether there is already a need to buy new items or whether there are stocks that are needed to be replaced or pulled out due to different factors like expiration. Inventories allow the existence of relevant records for reference purposes. Creating an inventory can help equalize the process of demand and supply. It can also improve the specified process through the help of past records which assesses the inventory management procedures that worked and those that did not. in particular and specific environments with different nature of operations. 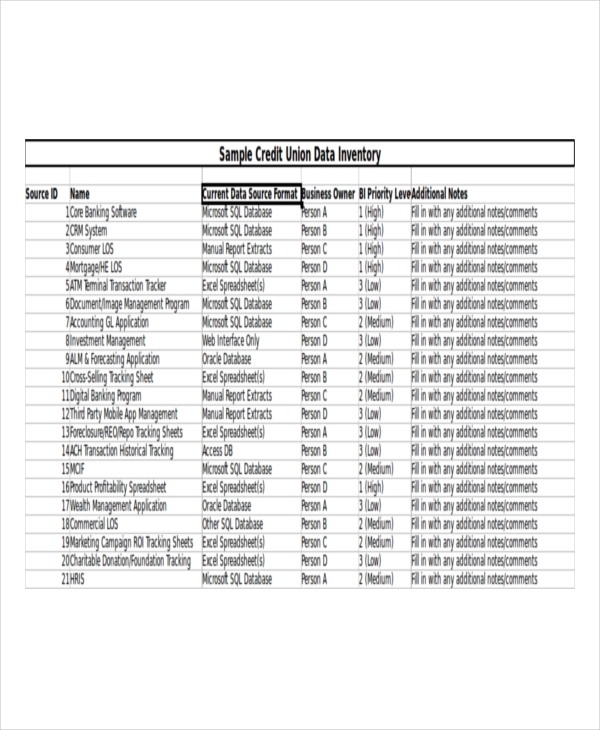 A data inventory is created to make sure that all the information needed by an organization or a business are well kept, maintained, and stored accordingly. 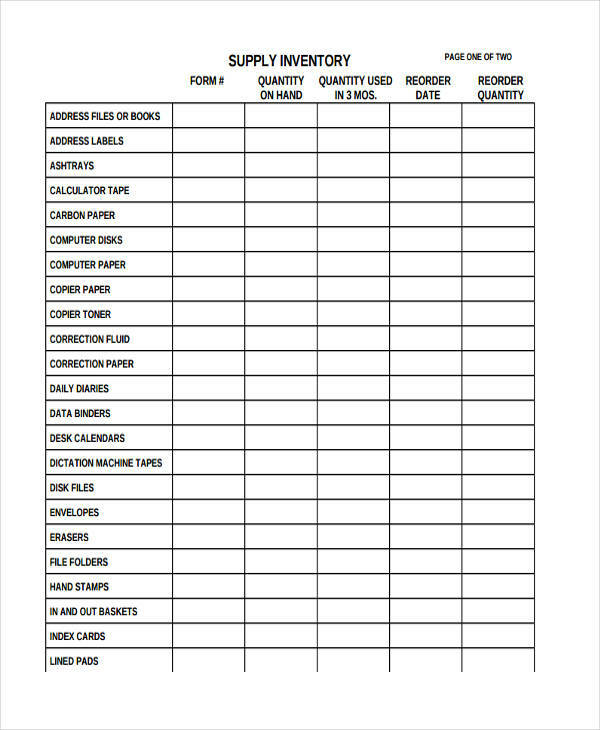 This kind of inventory is beneficial to the registrar’s office of academic institutions, human resources and other business divisions where written and digital information should be organized and filed. An assets inventory is specifically used by businesses so they are well aware of the items that they currently have. 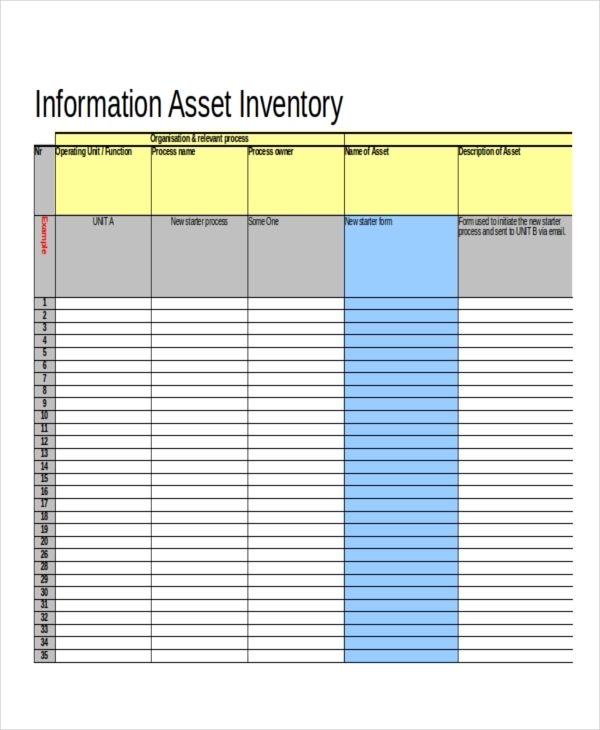 Using an assets inventory will allow the identification of the proper usages of assets which will then affect the sustainability and operational development of the company. 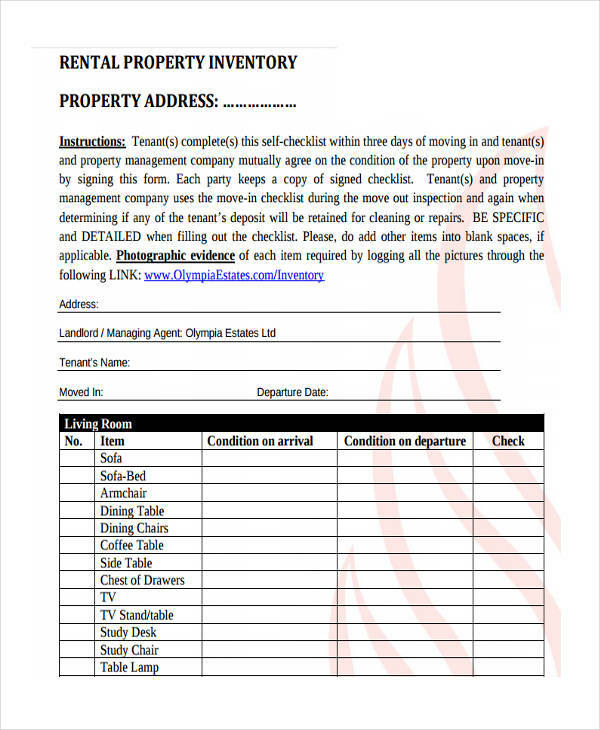 Rental inventory examples can be used to specify all the items present within a location to be rented. 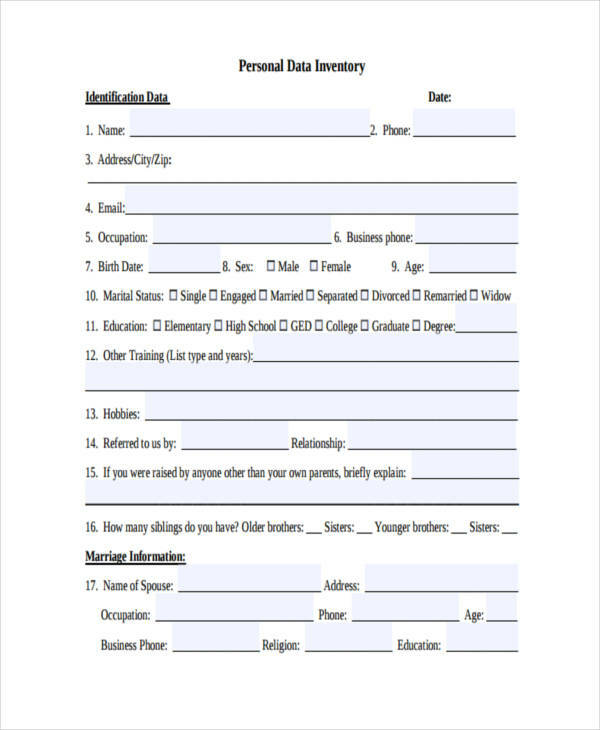 Rental inventories are used by businesses whose main line of operations is focused on providing properties that people may either lease or rent for different time duration. 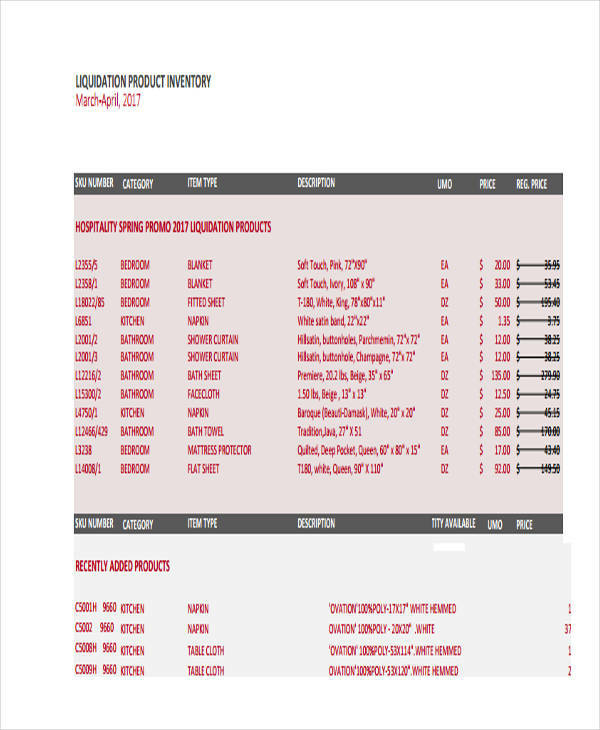 In creating inventory examples in DOC, make sure that the titles of every column that you will create to describe the items present within an inventory are accurate and properly placed. 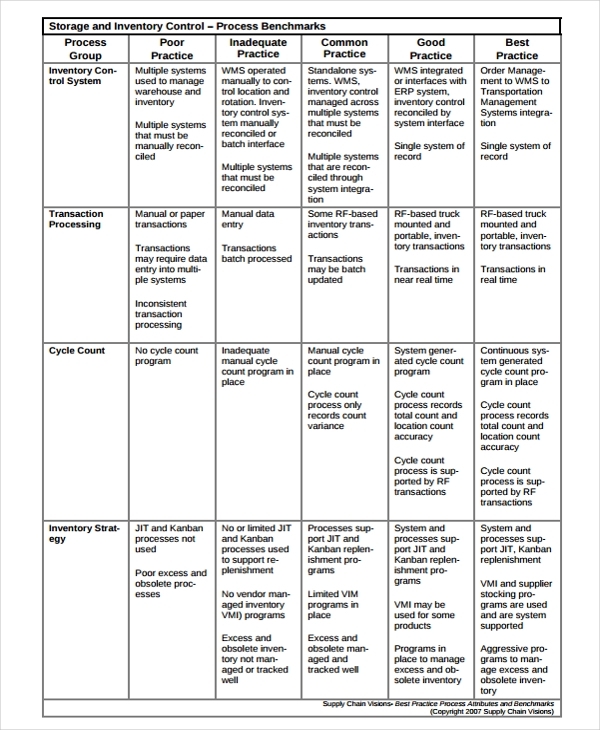 May it be an equipment inventory or a school inventory that you will make, assure that you will depend the format of the inventory according to how it can help the process of an entity. 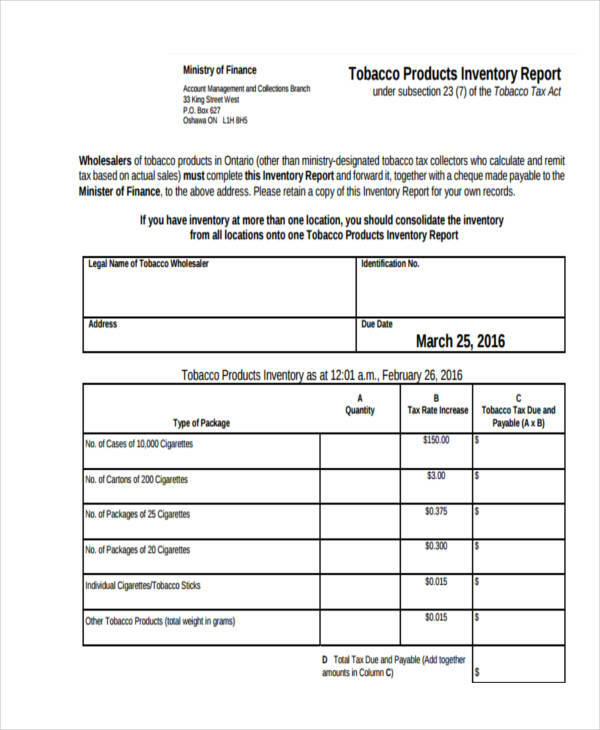 It is essential to always maintain the format of the inventory document. Doing this helps in maintaining the effectiveness of the inventory especially in terms of being a record of the materials that have either been stocked or used by an establishment. Make sure that the inventory that you will create has an arrangement of items to follow. 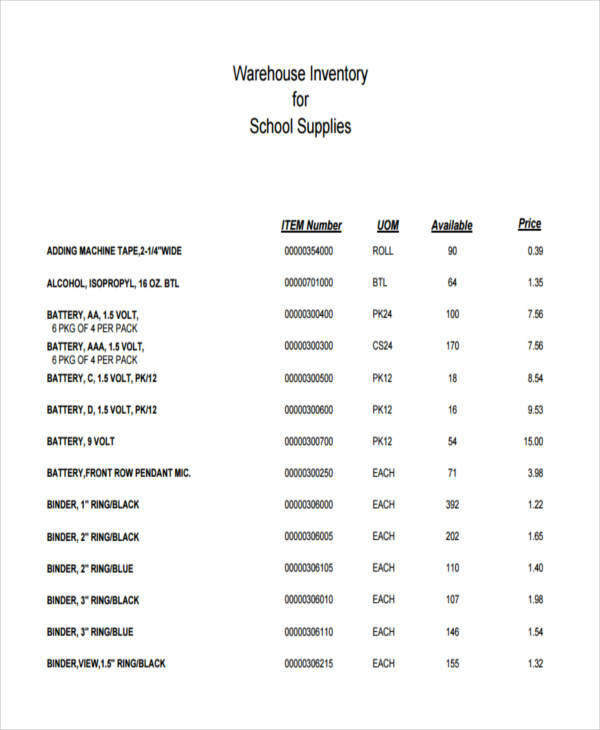 This can be based on the location where the stocks have been placed, the use of the items present within the inventory, or an alphabetical arrangement to easily find the items that are needed in a specific process. Inventory control helps the business to be more effective in terms of controlling its operations through the materials provided to different areas of the business. Free inventory examples, when controlled accordingly, can promote a more stock-conscious and productive workforce. Methods involved in inventory control reduce operational expenses through the appropriate allocation of the sources and resources of the business. Having an inventory control procedure that works can lessen both labor and inventory cost. As an example, it will be easier to have a few people look and update at an inventory if the format and content of the inventory is already arranged and controlled through a long period of time. Inventory control increases customer satisfaction as the clients of the business can get the products and/or services that they want since the business has stocks to supply the demand of the market. 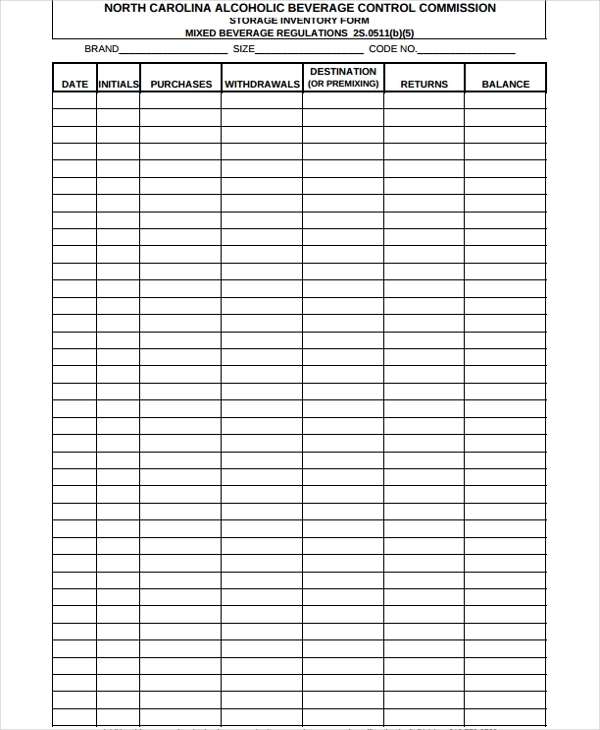 There are different ways on how you can create an inventory list, which depends on the purpose of its creation and the nature of operations where the inventory list will be used. We have listed some methods that you may follow in making retail inventory, property inventory and other kinds of inventories used in different processes. 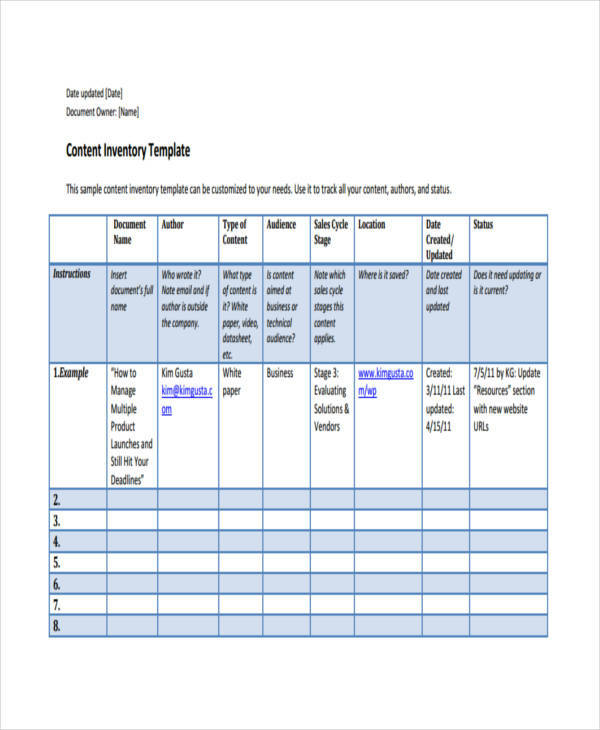 You can open inventory examples in Doc or other inventory list templates. 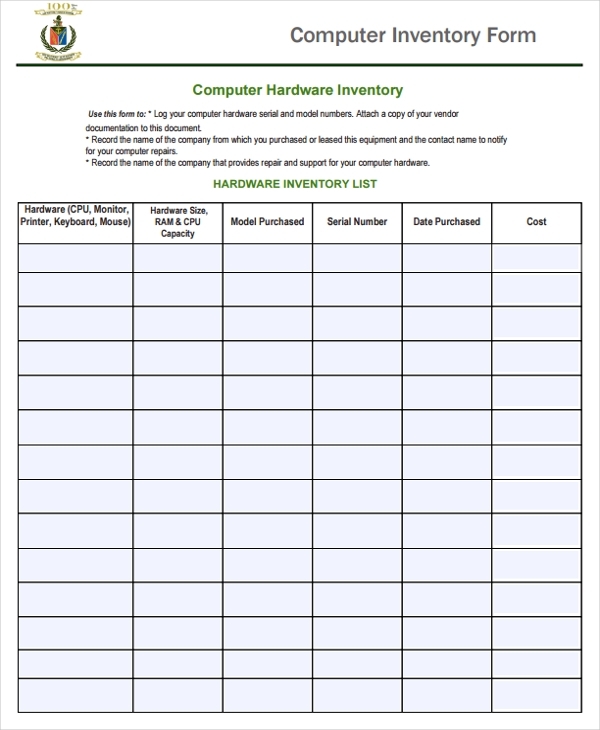 This will help you to arrange an inventory list based on the format that has been premade for you. 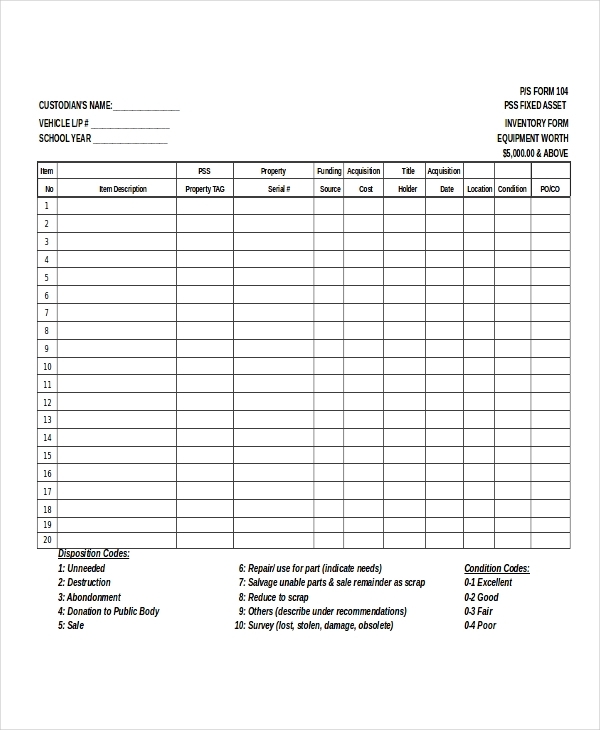 Knowing information present in an inventory memo will also help you to identify other items for consideration in making an inventory list which includes the materials that you will place in the document and the people who will look at the inventory as their guide for their work functions. 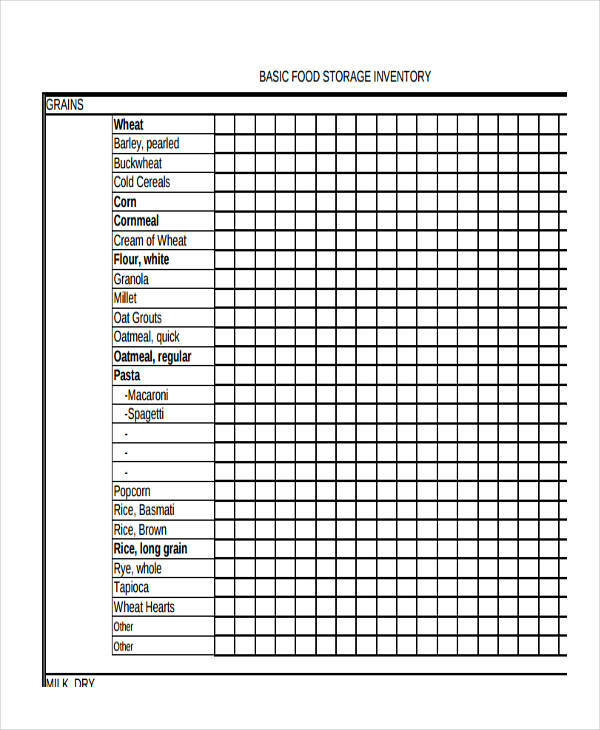 Use an Excel sheet and enter the items that you would like to record. 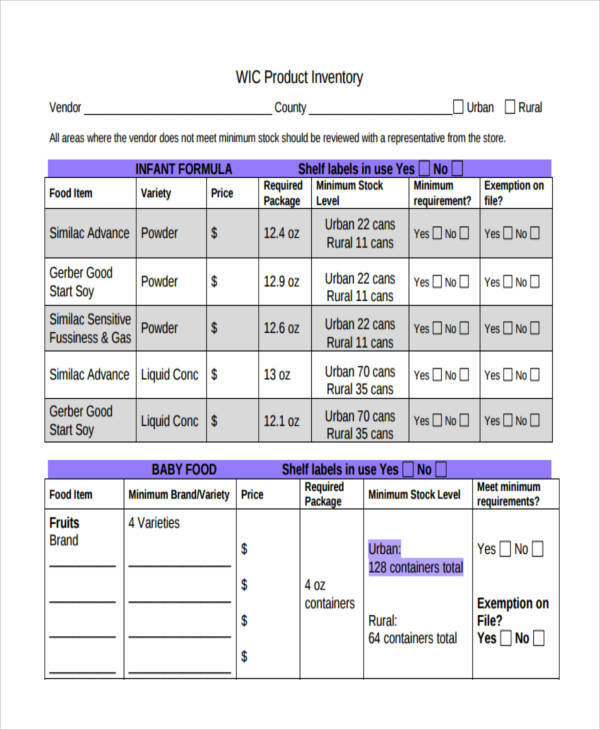 This may include the description of the items that you will stock, the individual count of the items, the total items that you would like to have every period, and a lot more. 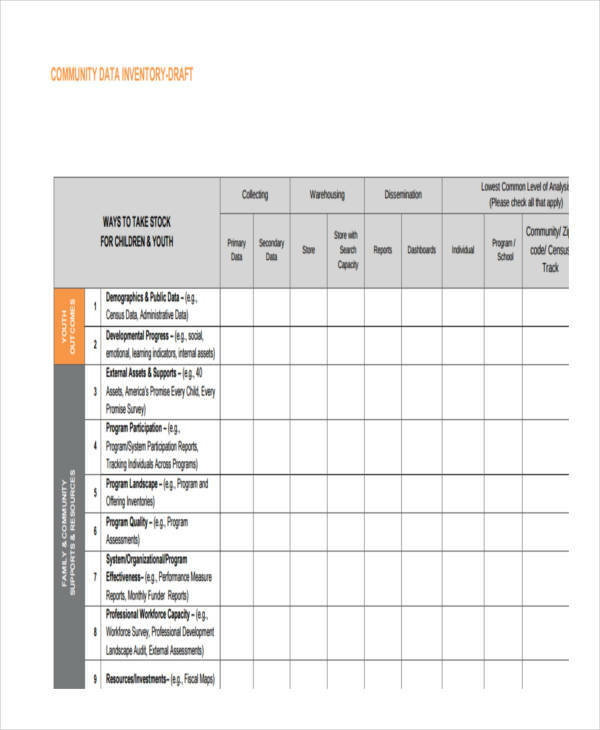 Once you have already placed groupings in their respective columns, you can start entering Excel formulas, which can help you quickly maintain an accurate listing of materials even with the changes needed from time to time. As long as you are well aware of the items that you need to place in a sample inventory list and you maintain the effective usage of an inventory within your operations, controlling your stocks and assuring that you can sustain the daily processes of the business will be easy tasks to do.